My students call me Mike and I teach on Mondays, and Tuesdays. Request a trial pack of lessons with Mike today! 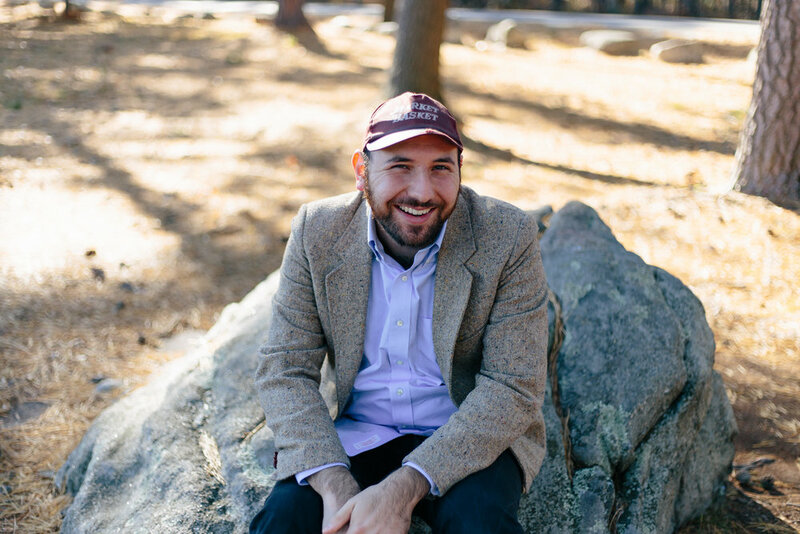 Mike has been teaching private piano, synthesizer, voice, guitar, and drum lessons for over 20 years and continues to perform while producing music and radio programming for Nashua's WSMN radio. Mike is the perfect instructor for students looking to specialize in pop, jazz, or contemporary piano styles. Mike has been involved in music and electronics since the '70s. He has performed with both cover and corporate bands in New England as well as having served as a studio musician for a score of recording artists. As well as extensive private piano lessons early on, Mike studied Music Synthesis and Music Production at Boston's Berklee College of Music. He continued to work with the college's staff for 13 years while continuing his studies in theory, songwriting, performance, music synthesis, and production. Mike is retired from the Waltham School Department where he headed the audio visual department and support staff for over 17 years. There he specialized in maintaining auditorium sound and lighting as well as tutoring students in the music department. My students call me Greg, and I teach on Wednesdays. Greg has over 8 years of experience in teaching piano and percussion to students of all ages and skill levels. Greg has performed as a pianist in both classical and rock venues across North America. Greg Nahabedian is a gender non-binary (they/them pronouns) composer, pianist, teacher, and performer of orchestral, operatic, chamber music. While Greg is classically trained, they love to teach improvisation as well as jazz and rock styles. Greg has studied piano with Steve Aubert, Brenda Miller, and Janice Weber and percussion with Charles Davis, Scott Kinnison, and Bob Weiner. Greg often records and performs across the country with the dance-punk band Cheap City, and gives solo performances of improvised spoken word and piano. Greg’s music has been played frequently in the US. Recent premieres include War Is A Racket, an opera in two acts, and Describe Vapor Again for the Boston based Mazumal duo. Greg received their B.A. in Music Composition from Hampshire College in 2014 under Marty Ehrlich and Kate Soper and their M.M. in Music Composition from Boston Conservatory in 2018 under Curtis Hughes and Felipe Lara. My students call me Mrs. Ross, and I teach on Mondays, Wednesdays, and Thursdays. Request a trial pack of lessons with Mrs. Ross today! Johnna Ross began her music career in New England, studying piano as well as pipe organ, as soon as she could reach the pedal board. As a young teen she held her first church organist position and performed at the American Guild of Organists’ National Conventions in Dallas (’94) and New York City (’96). Johnna received her Bachelor of Music degree in performance from the IU Jacobs School of Music, where she studied under Christopher Young (organ), Elisabeth Wright and Jacques Ogg (harpsichord). She continues to perform as a solo recitalist, accompanist and chamber musician and has served several churches as organist, pianist, and choir director. Recently, Johnna has branched out into more popular music styles, playing keyboard with a worship band. Mrs. Ross has over 15 years of experience as a piano instructor. A versatile performer and teacher, she is familiar with a wide range of music genres and keyboard instruments. Her students have fun learning everything from Bach to Coldplay, sometimes in the same lesson! She is pleased to be a part of the faculty of the Nashua Community Music School and excited to work with students of any age or ability. Johnna and her husband, Mark moved from Indianapolis, IN to Hollis, NH where they reside with their three spoiled cats. Johnna is also a certified yoga instructor and loves the outdoors. My students call Ms. Marie and my studio is currently full. Please consider one of my other wonderful colleagues. Marie Mendelow has been teaching piano and percussion for over thirty years on four different continents. She received her collegiate training in her native South Africa at Witswatersrand University and completed all the piano examinations through the Royal Schools of Music, London.She studied piano under Dr. Adolph Hallis, a World Master, and was invited at the age of seventeen to join the Primary Orchestra of South Africa (SABC Orchestra), where she performed weekly on national television as one of their four percussionists. She has served on the faculty of the Orange Free State University, and has been living and teaching piano and percussion in New Hampshire since 1991. In 2007, Governor Lynch signed a proclamation making her NH's Music Teacher of the Year. My students call Mrs. Dell Orfano and my studio is currently full. Please consider one of my other wonderful colleagues. Ms. Dell Orfano holds a degree from Eastern Nazarene College in Music. She has been teaching piano and beginner voice at the Nashua Community Music School since 2000. She is a passionate, patient, and inspiring instructor that loves to work with students from pre-school age to adult. In addition to her teaching activities Deborah also served as the organist at Messiah Lutheran Church in Amherst, NH and is now enjoying life as an active fiddler!